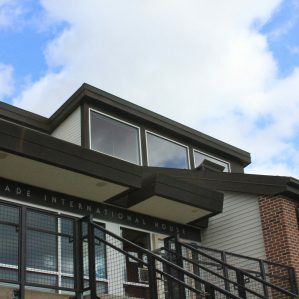 The Max Kade International Wing is a special interest housing option that promotes cross-cultural sharing and exploration. You will learn to live in the language. You will increase your ability to understand and express yourself in the language spoken in your house. You will grow in the language. As your fluency increases you will gain a greater awareness of cultural cues and cultural knowledge and a deeper relationship with the native-language TA and your housemates. You will take ownership of your efforts and abilities. You will notice an ever greater feeling of accomplishment as your knowledge deepens and your skills improve. * The Arabic/MENA House teaching assistant lives in a separate apartment in North Village. The International House does not have a TA. 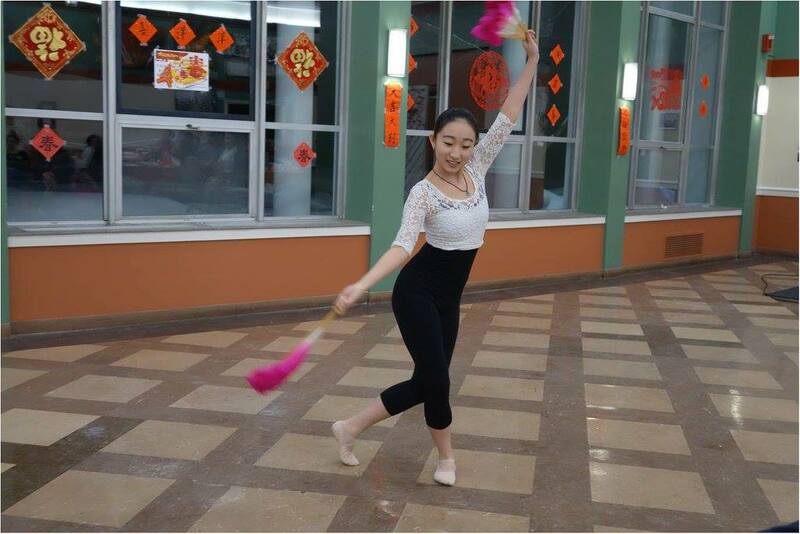 Pictured above: Yilin Zhu (’18) demonstrates traditional dance at the annual Asian Festival sponsored by the Chinese House of the Max Kade International Wing. 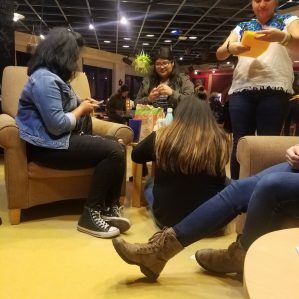 Seasonal special events — recent offerings have included an Oktoberfest/Bavarian Pretzel Baking party, a Día de los Muertos celebration, and Halloween français, featuring Ghoulciné & Pumpkin Painting, to name but a few. 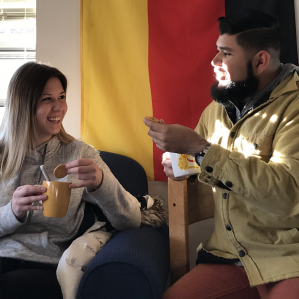 The wing always includes at least one International House for students who have a strong academic interest in world cultures and global affairs but do not desire a language immersion experience. 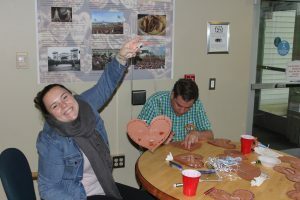 Applicants for the Max Kade International Wing might include students with an interest in foreign language or international studies, international students, or students who have lived or traveled abroad. 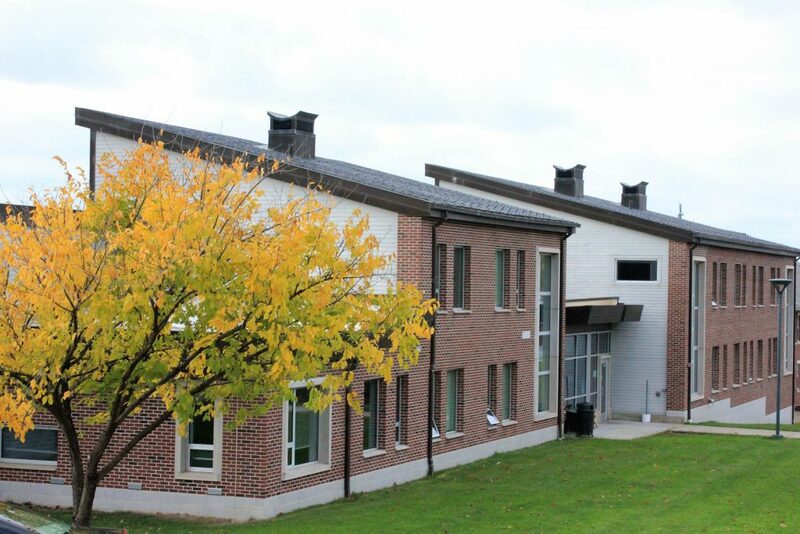 The application period begins at the start of each Spring semester for selection of residents for the next academic year. Students with rising sophomore standing and above are encouraged to apply, but please note that preference may be given to students with more academic or international study experience. While a deeper background in the particular language or academic area may strengthen a student’s application for a specific house, students do NOT have to be majoring or minoring in that field to be considered for the house. Students may apply for admission to more than one house. Students may apply for a single Fall or Spring semester, but preference is generally given to those who are willing to commit to the full academic year. For students with demonstrated (FAFSA) financial need, additional financial aid is possible up to $1,000. This aid is only available to those students applying to live in the following houses: Chinese, German, French, Spanish, and Arabic/MENA. Students who are unsure of their financial status should contact the office of Financial Aid (814) 332-2701 or fao@allegheny.edu.